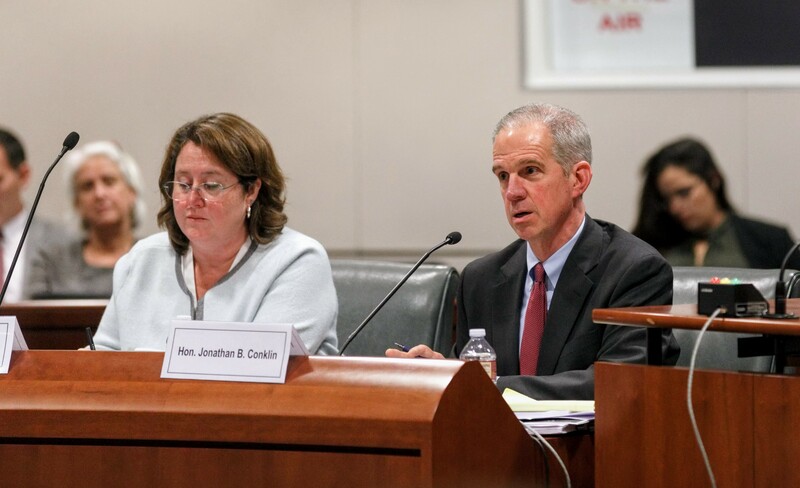 Judge Jonathan B. Conklin (right) and Court Executive Officer Rebecca Fleming explained proposed changes to the formula the council uses to divide up the state funding it receives among the state’s trial courts. Jake Chatters, court executive officer in Placer County, tells the council about changes to the definitions of the data collected from the trial courts that helps the council calculate the workload-based funding need for each court. Judge Theodore Weathers, chair of the CJER Governing Committee, goes over the plan for developing and delivering education to judicial officers, court management, and staff. 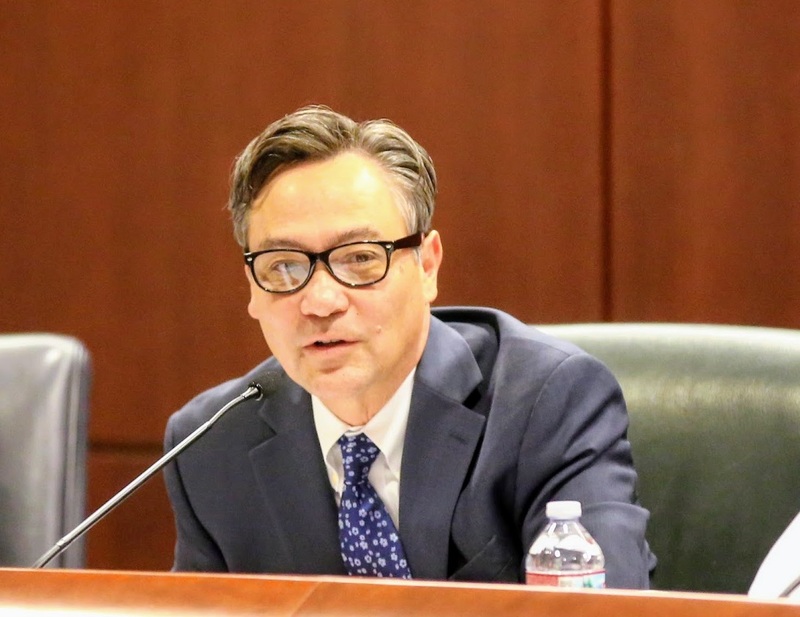 Martin Hoshino, the council's administrative director, provided an update on the Governor's proposed state budget for fiscal 2018-19, and what it means for the court system. SAN FRANCISCO—The Judicial Council at its January 12 business meeting heard an overview of Governor Brown’s proposed FY 2018–19 state budget released this week. The proposal provides $4.2 billion for the judicial branch, which includes $150 million in new funding for local trial court operations and a commitment to fund construction for ten new courthouse projects. The judicial branch budget represents 2% of total state funds. Over the next several months, the Chief Justice and the Judicial Council, with the support of trial and appellate court leaders, the bar, and other justice system stakeholders, will continue to advocate with the Governor and the Legislature on judicial branch funding and the proposed state budget. 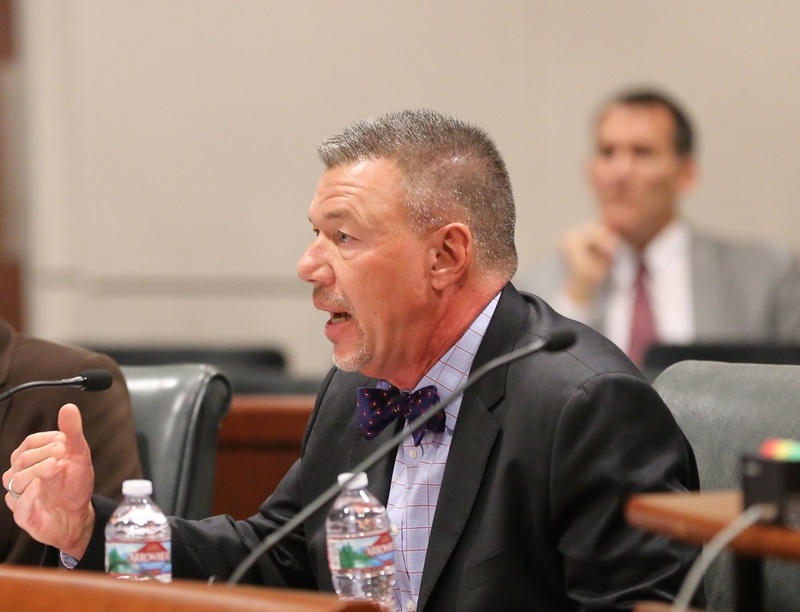 Changes to Trial Court Funding Formula: The council approved changes to how it divides annual state funding appropriated by the Legislature for the judicial branch among each of the state’s 58 trial courts based on the workload at each court. The changes make the branch’s Workload-Based Allocation and Funding Methodology (WAFM) more stable and predictable, and lessen any negative impacts on courts that experience large cuts to their budgets in lean funding years. Among the changes, the council agreed to eliminate the historical funding base that implemented WAFM gradually over the previous five fiscal years, and instead establish base allocations each year based on a court’s funding level the prior year. 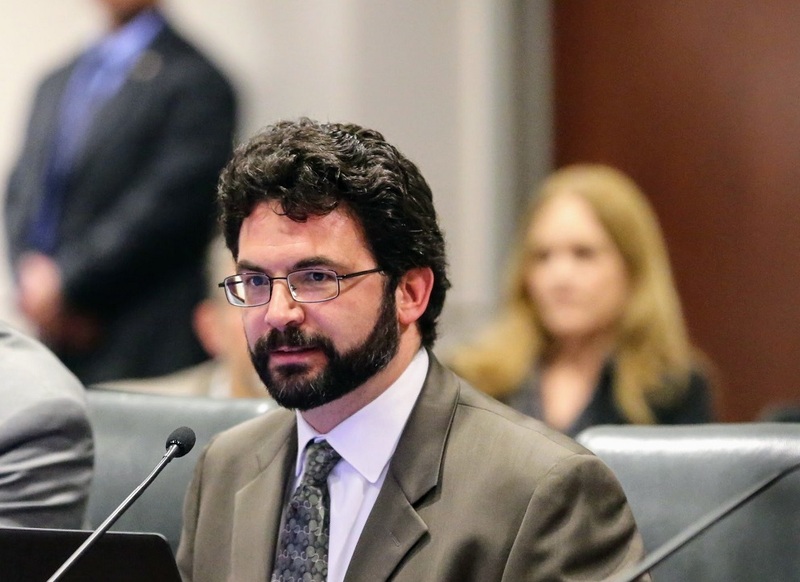 The council also agreed to continue identifying workload every fiscal year based on a three-year average of filings data to respond to local changes in court workload. Legislation on Interpreters in Small Claims Actions: The council agreed to sponsor proposed legislation to clarify that courts are to provide qualified interpreters, subject to available court resources, in small claims actions. The proposed legislation would also provide judicial officers with discretion to appoint a temporary interpreter if they are unable to secure a certified/registered or provisionally qualified interpreter. New Forms for Ability-to-Pay Determinations: The council approved two new optional forms court users can complete to request a determination of their ability-to-pay court fines in traffic and other infraction cases. Education Plan for Judges and Court Staff: The council approved its next two-year education plan for developing and delivering education to the judicial branch. In addition to publications and other educational materials, the plan includes more than 400 in-person and online programs and courses for judicial officers, court management, and staff. Watch (video best viewed in Internet Explorer).